Partial meniscectomy is a surgical procedure to remove the torn portion of the meniscus from the knee joint. Meniscus is the C-shaped cartilage located in the knee that lubricates the knee joint, acts as shock-absorber, and controls the flexion and extension of joint. You may have pain over inner and outer side of the knee, swelling, stiffness of knee, restricted movement of the knee, and difficulty in straightening your knee. If the conservative treatment such as pain medications, rest, physical therapy, and use of knee immobilizers fails to relieve pain, then surgery may be recommended. Surgical treatment options depend on the location, length, and pattern of the tear. Partial meniscectomy is performed with arthroscopy, where several small incisions are made around the knee. Through one of the small incision, a miniature camera is inserted to see inside of the knee. Tiny surgical instruments are inserted through other small incisions to repair the tear. 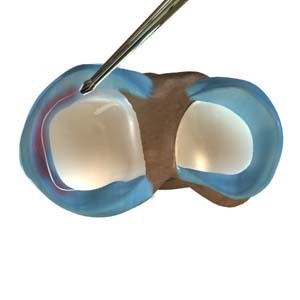 During the procedure, the torn meniscus is removed, and the remaining edges of the meniscus are smoothened so that there are no sharp ends. Any unstable fragments which are causing locking and catching sensation will also be removed.